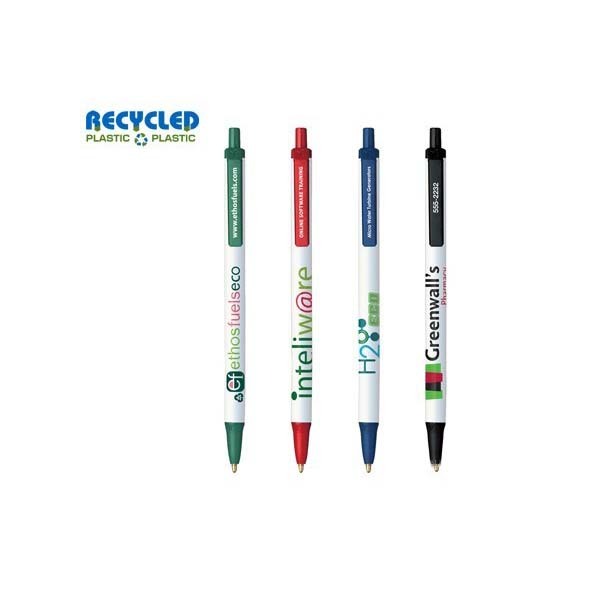 This recycled Slick pen features a white barrel that you can have imprinted with your company’s logo to increase brand recognition in an environmentally friendly way. 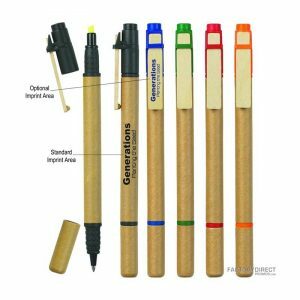 The retractable design makes this pen is a great giveaway at tradeshows or conferences and not only does it acquaint customers with your logo, but it also makes it clear that recycling and sustainability are issues your company supports. 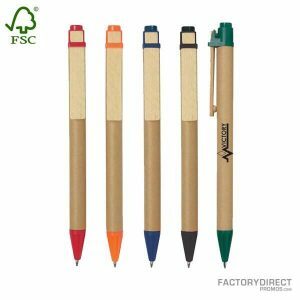 Let us help you design your high-quality wholesale promotional pens today.